At Bradley Park Apartments, a full menu of amenities provides comfort and convenience to make every day a stellar experience. Tone up at the fitness center before work, or stretch out after a long day with a few laps in the pool and a relaxing soak in the spa. The picnic area is an optimal spot to hang out with friends and family and enjoy some homemade barbecue or a burger. Take care of business with free WiFi at the Internet café, or let us take care of it for you with complimentary package receiving at the office. Your East Puyallup location gives you easy access to downtown and beyond. When the day’s traveling is done, enjoy the ease of pulling into your own attached garage. 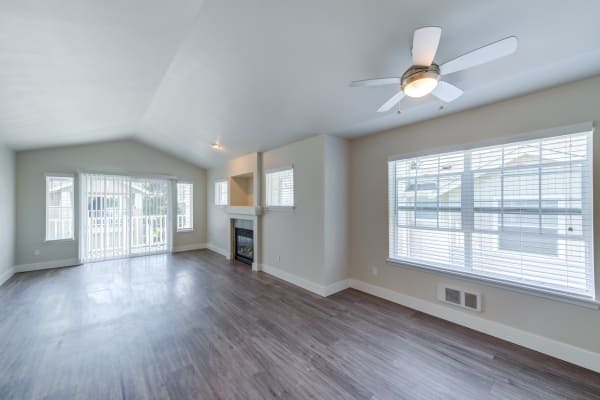 1, 2 & 3 bedroom apartments for rent at Bradley Park Apartments feature thoughtful design elements to make your home your personal retreat in Puyallup. Generous floor plans offer plenty of living room for you, your gear, and your best pet friends. An in-home washer and dryer set keeps the chore list under control. 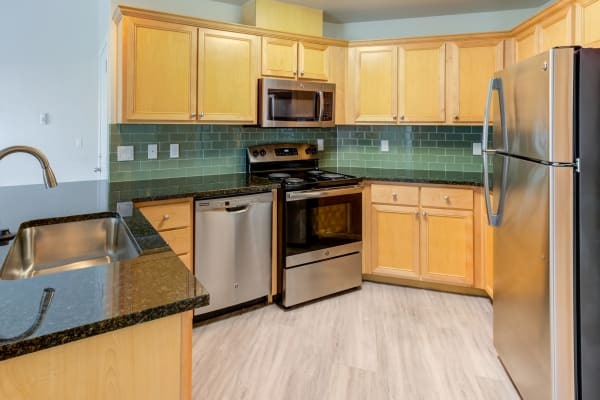 You’ll find your inner culinary wizard in your full-size kitchen, available with sleek, stainless-steel appliances and granite countertops. 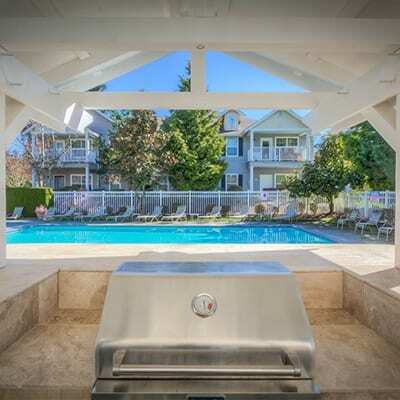 Get in touch to arrange your private tour of Bradley Park Apartments and to learn more about our townhome-style apartments in Puyallup, WA.